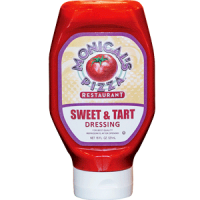 Our famous dressing in a large 18oz. squeeze bottle. Now available in regular or light! Great on salads, wings and pizza!